The U.S. added 2.65M jobs in 2015 for the second best year since 1999. We specialize in career transitions, helping our clients start new careers with confidence! Our clients typically accept new job offers in 1-3 months; the national average is 6-8+! Median weekly earnings of full-time wage and salary employees were $825 in Q4 2015. Why Are Professional Resume Writing Services Important? Are you seeking a promotion at work? Looking for a career change? Just ready for a new boss? Regardless of your circumstances, your career is constantly evolving (whether you realize it or not)! You are at that point in your career where you aren’t considered entry level anymore and you’ve added a few years of work experience to your belt. When you consider your options for a promotion or a career transition, consider how much work experience you already have. You may be on the verge of managing your first team or looking for a $10K salary increase. If any of this sounds appealing, you need to capture the appropriate skills on your resume that will support this next move in your career. In addition to writing about your skills and accomplishments, your resume format is also pivotal in the selection process. Check out our explanation of an Applicant Tracking System (ATS) below to learn more about the specifics of the candidate selection process. 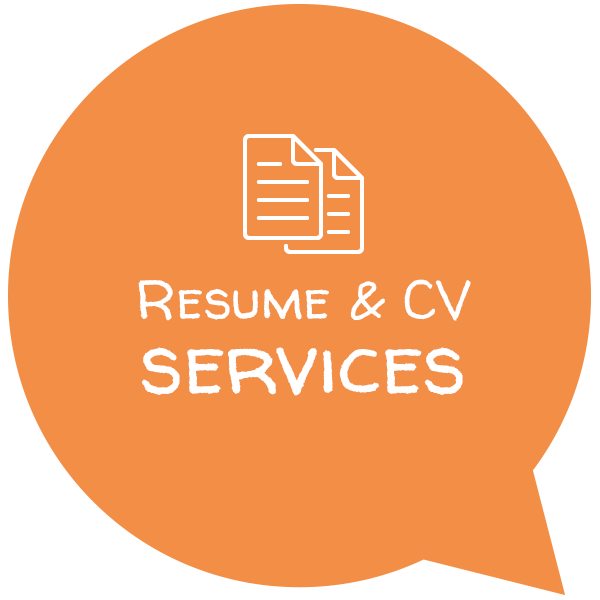 Our Professional Resume Service offers you the convenience of working with a Certified Professional Resume Writer AND Career Coach who specializes in identifying your best skills and conveying them in a compelling manner via a well-written Resume and/or Cover Letter. Our Career Advocates at Evolution Coaching will create optimized content, rich with keywords and phrases that recruiters and hiring managers will be looking for! In addition, your accomplishments will be clearly captured to demonstrate the value you will bring to the hiring company (or if you’re seeking a promotion from within). Working with a Certified Professional Resume Writer is an invaluable experience (and a stress-free, convenient one at that)! We are here and ready to help! If you are not interested in our professional service at this time, check out our blog for helpful tips and best practices to do it yourself! They did a great job listening to what I was looking for, what my previous experience was, and how to best describe myself in a way that companies are looking for. I have already received interview opportunities in my desired work field, and would highly recommend them for anyone looking to redo or edit their resume. How do I communicate with my Certified Professional Resume Writer? Directly! Once service is ordered, you will receive a “Welcome” e-mail from the Evolution Coach who will work with you! Our Coach will ask you additional or clarifying questions for your order via e-mail or a phone consultation. While we get to work creating drafts of your new career marketing documents, your Evolution Coach will maintain direct communication with you throughout the entire process! You can expect to receive your new draft(s) within 4-5 business days of the date you supply your Evolution Coach with the information necessary to create effective marketing documents. Should you require a faster turnaround (2 business days to receive a draft), an expedited service is available for an additional charge ($49). Are you seeking a promotion at work? Considering a career change? Looking for a new job? Look no further! Let us help you put your best foot forward. We specialize in optimizing content with specific keywords and phrases to surpass the “Applicant Tracking Systems” used by recruiters and hiring managers. We’ll get your foot in the door! Receive your drafts within 2 business days of meeting with your writer (vs. the standard 5 business days). 1/45-minute Session focusing on Interview Practice or Creating An Effective Job Search Strategy. If you earn $25/hour ($52K/year), you make $200/day. Our Resume Writing Service costs $199.00. our service paid for itself. An Applicant Tracking System (ATS) is a software application that enables the electronic handling of recruitment needs. The principal function of an ATS is to provide a central location and database for a company’s recruitment efforts. They are built to increase efficiency and cost savings associated with screening candidates and storing resumes submitted by job applicants. A main focus of our resume writing service is to create optimized content using skills and key phrases that Applicant Tracking Systems (ATS) will be looking for. Writing and formatting a resume regarding ATS is important because this software program works like a resume database to help companies streamline their hiring process and review applications more quickly. Not only do these systems organize and sort applications, but they are also programmed to screen candidates based on what content you include in your resume. Once a position is posted, all submitted applications are stored in this database where recruiters can search submissions using keywords and phrases to identify candidates to advance through the hiring process. We specialize in optimizing your content so you are receiving the greatest chance possible of an interview request. The higher your resume scores in the ATS, the higher your chances are for receiving an interview. Our team of Certified Professional Resume Writers will create compelling Resumes/CVs, Cover Letters, LinkedIn Profiles, and other professional letters for recruiters and hiring managers to take notice! 6. Your completed Resume/CV is delivered in both Word and PDF formats! For positions with salaries over $100K. Learn more here. For positions with salaries between $60K-$100K. Learn more here. For positions with salaries up to $30K. Learn more here. For positions requiring a CV, regardless of salary. Examples include: Physicians, Professors, Scientists, etc. Learn more here. For positions in the IT or Engineering Industries up to $100K in salary. Learn more here. For Federal & State positions with salaries up to $100K. Learn more here. We offer various letters and documents to support your job search or promotion! Be sure you are prepared with all you will need to take the next step in your career. Once payment is submitted, you’ll be immediately directed to a page to upload your current resume or complete a questionnaire. We’re here to help! If you have any questions at all, please contact us!